With report cards available in ManageBac on January 25th, I would like to give some reminders of our assessment practices and suggestions for you as a parent. If your child receives the indicator "3," this means he/she is meeting grade level expectations. If your child is receiving learning support or a lot of extra help in the classroom to complete tasks, your child will receive a "2"as an indicator. We recommend you focus solely on the comments with your child as this will give your child the best feedback for growth. Please do not give rewards, such as pay money for a "4." This does not help your child develop a passion for learning. Keep in mind that a "4" is not an "A" compared to a traditional model, but indicates he/she is able to complete work above grade level expectations. Celebrate achievements and understand there may be areas where your child needs support. This is all part of learning. We would like to welcome the VanDeMark family who joined our school from Japan last week. 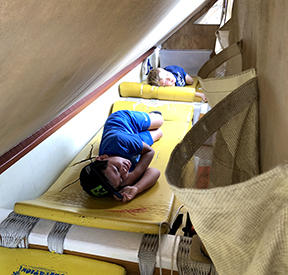 Their daughter Umei is in Mrs. Maughan's fourth grade class, while their twins, Taka and Mune are with Mrs. Everest and Mrs. Tanaka respectively. We have been working on updating our C Playground in installments. First we put in new turf and then added the climbing jacks. Coming by the end of the school year there will also be a new slide structure which will replace the current tattered structure under the shade sails. Come join us for coffee in the Dahl on Feb 1st as High School administrators and students share about the journey ahead for your child. We will start after Friday Flag from 8:15 – 9:30am. Spring Break Care final sign up date is 2/25 at this link: extended.day@lejardinacademy.org. Remember, Tue, 3/26 (Prince Kuhio Day) is a holiday; no care on that day. 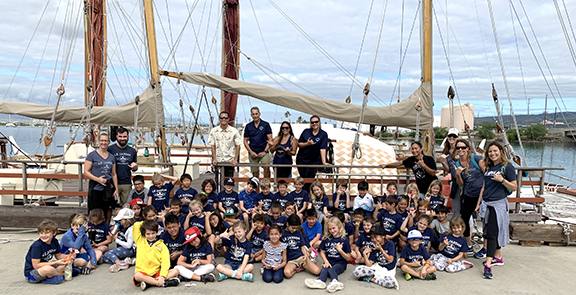 For 3rd grade & up – those who signed up for Professional Development Day Care – it is time to turn in the Hawaii Academy Waiver Form to the Extended Day office. Waivers can be scanned and emailed to extended.day@lejardinacademy.org, given to the Front Desk, or dropped off the Extended Day office (C6). Request for extra wavier can be emailed to us or hard copies can be found in our office. Due date: Friday, February 1st. Drop your kids K-gr 8 off for 3 hours of child care* on Saturday, Jan 26. *Read more about Date Night and sign up here. There is still space for Spring session's production, "Dust-Busters!" Learn more and sign up here. 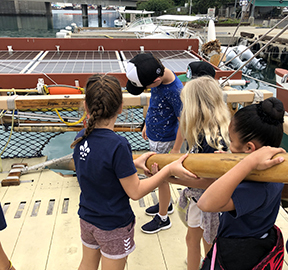 Students in grade 2 got to visit with the Polynesian Voyaging Society on Monday. 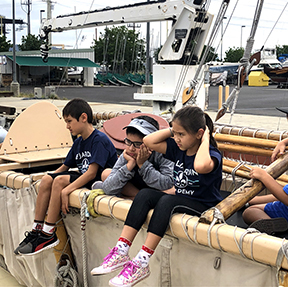 They learned about navigation and local/global connections while being on board the Hokulea!